Carly Fiorina is still taking heat for concocting a non-existent Planned Parenthood video during the second GOP debate, one she insisted showed, “a fully formed fetus on the table, its heart beating, its legs kicking, while someone says we have to keep it alive to harvest its brain.” Planned Parenthood released a statement politely pointing out that’s “totally false.” And since no video of the kind exists, the Super PAC associated with her campaign went ahead and made one. It has never been entirely clear where that purported footage was shot, although it’s a commonly used video to show the supposed horrors of abortion. Most of the gruesome anti-abortion images you see, including this one, come from one place: the so-called Grantham Collection, which says it mission is to end “abortion-related violence,” and whose photos and videos show what it claims are a litany of tiny dismembered fetal body parts, pasted against things like quarters and baseballs for scale. The Grantham Collection is a lifetime partner of the anti-abortion Center for Bio-Ethical Reform. The Grantham Collection was put online around March 2005. Whoever hosts the site does so through a hosting service called Omnis, and their registration data is private. It provides no information about where the photos and videos were taken, nor does it suggest that they were taken at a Planned Parenthood. The line “We’re going to procure brain” comes from Holly O’Donnell, the former procurement technician used as a centerpiece in several CMP videos. O’Donnell claims she heard it uttered by a Planned Parenthood employee. 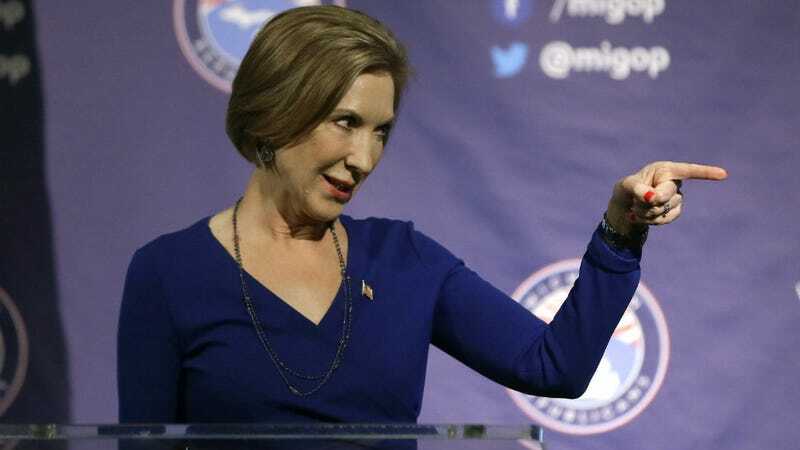 Correction: An earlier version of this post incorrectly identified the video as coming from the Fiorina campaign; in fact, it was made by the Carly for America Super PAC. Super PACs ostensibly do not coordinate with the candidates. I regret the error.